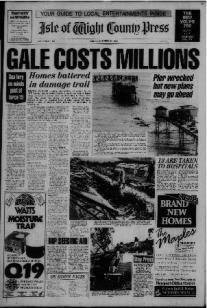 To view pages on the Isle of Wight County Press Archive you need to register and purchase a subscription or credits. You can view pages from as little as £4.95, for 20 pages over a three-month period, or £5.95 for unlimited pages* over two days. Click here to find out more about the payment options available. Fill in the form below to register and then set up a payment option.